◆❣❣◆ Made of Safe Plastic and soft cloth. ◆❣❣◆ Easy to use,no strings to tangle,no batteries to replace,no assembly required.just toss it high and ?watch landing slightly. ◆❣❣◆ Help to train the childrens observation&hands-on experience.keep the kids far away from notebook,iPad and game machine. 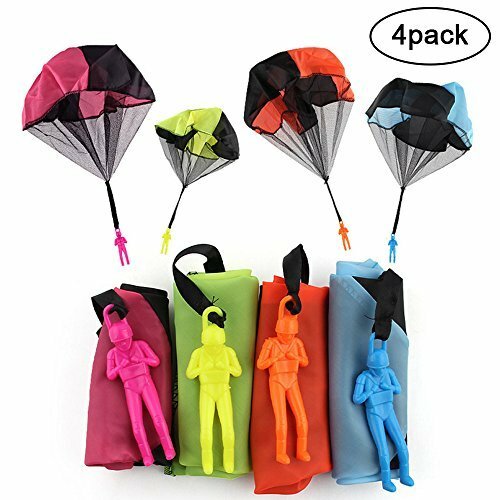 ◆❣❣◆ Great for kids when traveling or outdoor activities.To increase the kid's communications and feelings. 2.Great for children to play,to develop their intelligence and observation&hands-on experience. 3.Easy to use,just toss it high and watch it fly in the sky. 4.Perfect for kids as a Christmas/Birthday gift.Improve children's manipulative ability,bringing more fun. 5.Recommend for 3+ years old kids.